Can Hair Be Cloned or Multiplied? Hair cloning, also called hair multiplication, is a promising treatment for androgenetic alopecia. In hair cloning, a sample of a person’s germinative hair follicle stem cells are multiplied outside the body, and then they are re-implanted into the scalp as new permanent hair. Houston hair transplant patients may soon see this technology available for clinical application. Hair cloning is a term that is often used to broadly describe a set of ideas on how to use laboratory techniques to solve the problem of hair loss. Technically, however, there is little difference between true hair cloning and the technique of hair multiplication for treating baldness. In both approaches, the goal is to produce increased amount of donor’s hairs so that more patients can become candidates for restoration regardless of donor density. The only basic linguistic difference is when the word “cloning” is used, it refers to starting with stem cells. Many limitations still exist to cloning in all areas of medicine. In general, few successful reports of medical cloning have come to light in any practical application and none have been put in to use for hair restoration. However, we do have hope for the future of this technology. This is one of the reasons that hair transplants in Houston may soon be even less invasive than ever. Matristem extra-cellular matrix (ECM) and Acell – In initial studies hairs stimulated by ECM sometimes regenerate new hair. 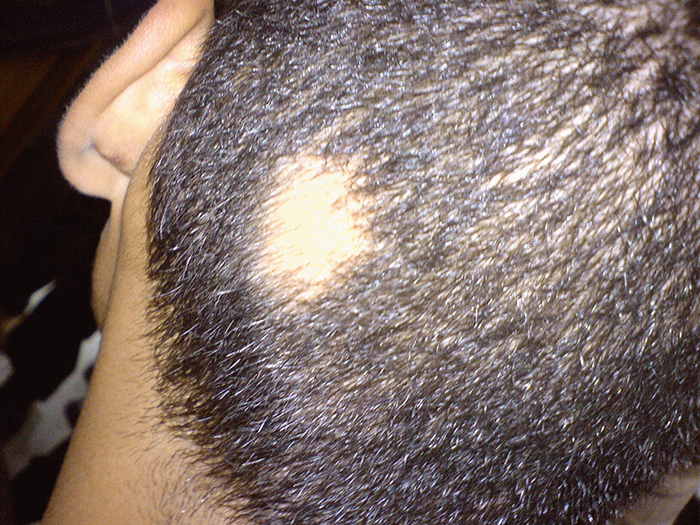 Because the hair is placed into the recipient area and is partially derived from cells in the dermis, it is not yet clear whether the hair will be affected by androgens over time or if it will continue to bald i.e will they behave like the back of the head permanent hairs or top of the scalp balding hairs? The possibility of using a biologically-derived matrix to enable hair multiplication exists, but significant work remains in order for hair multiplication to become a practical treatment for hair loss in men and women. It is also anticipated that ECM will facilitate the healing of the incision in the donor area after a hair transplant by its regenerative properties. Although the ECM is a natural biological material that can be implanted at the site of an injury to stimulate healing that is unique because it is healing specific to the site i.e instead of the body producing scar tissue, the body heals by creating new original tissue. The ACell’s MatriStem is a naturally occurring bio-scaffold, derived from porcine (pig) tissue. When MatriStem is placed into a surgical site or wound, it is reabsorbed and replaced with new, more supple tissue, rather than a firm scar. ECM has been shown to promote rapid tissue remodeling by promoting neovascularization (growth of new blood vessels) and recruiting host-derived mesenchymal cells (cells that lay down collagen and potentially can promote the formation of hair). These effects can potentially result in quicker healing of wounds and less scarring.